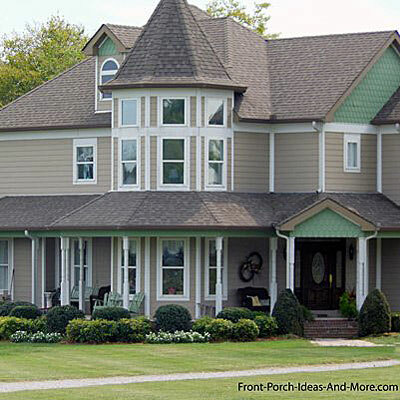 Add a porch to your home and you will not only increase your home's curb appeal but also add hours of enjoyment for your family. Tricia graciously shares her before and after pictures and story with us. 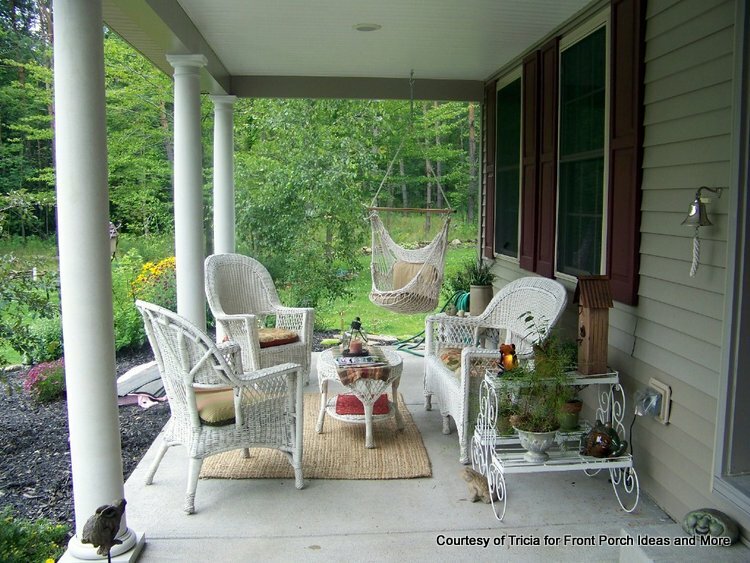 Tricia states: "We love our new porch. 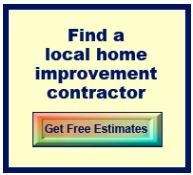 We had a family friend who is a wonderful contractor build it for us. He worked every weekend and went to great lengths to make everything just right." We couldn't agree more. 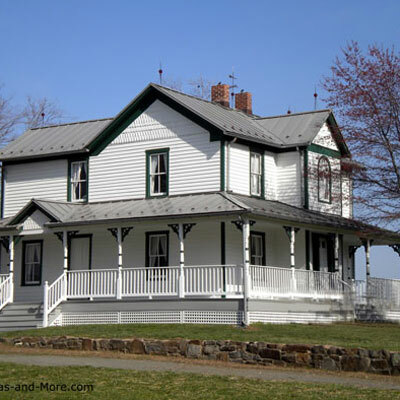 We like the look of the round tapered columns. 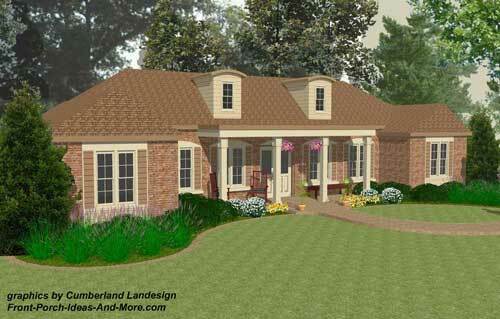 It adds immense appeal and compliments the architecture of this colonial-style home. 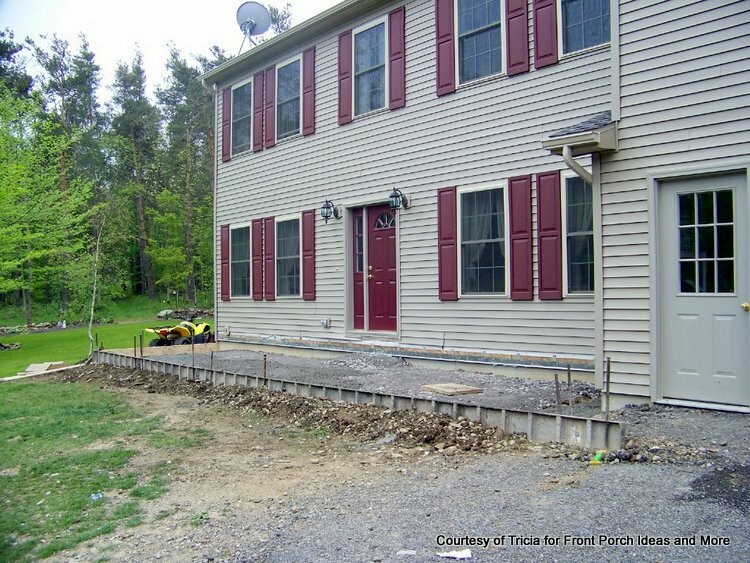 Her porch construction project, 36 feet long and 8 feet wide, definitely has the "WOW" factor! Tricia bought a wicker set for a steal on Craig's List and her mother did a great job covering the seat cushions with fabric they had picked up at a flea market. She also used a treasured item, her grandparents' old kitchen table, she had been hanging on to with intention of using it one day. 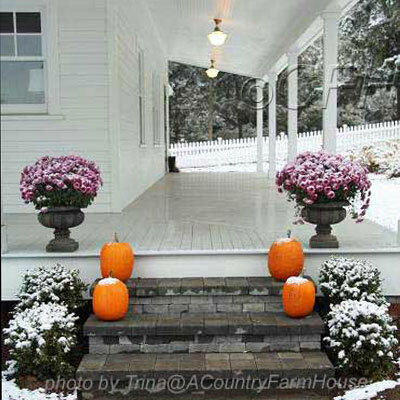 Now they get to enjoy it on a beautifully decorated porch. 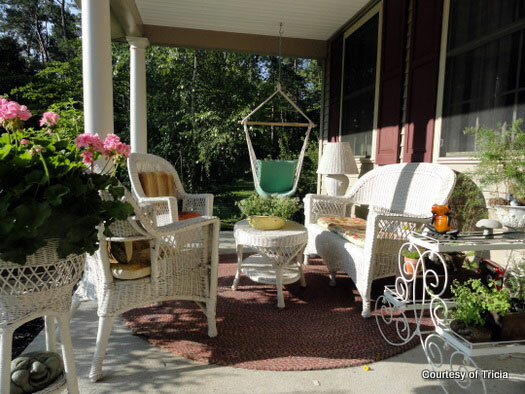 Take note not only of the wicker furniture, but the use of an outdoor rug that adds immediate warmth to her porch. Also note the neat hanging chair in the far corner! 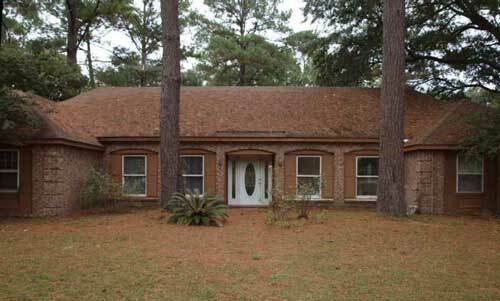 We'd be remiss if we didn't note her wonderful landscaping. 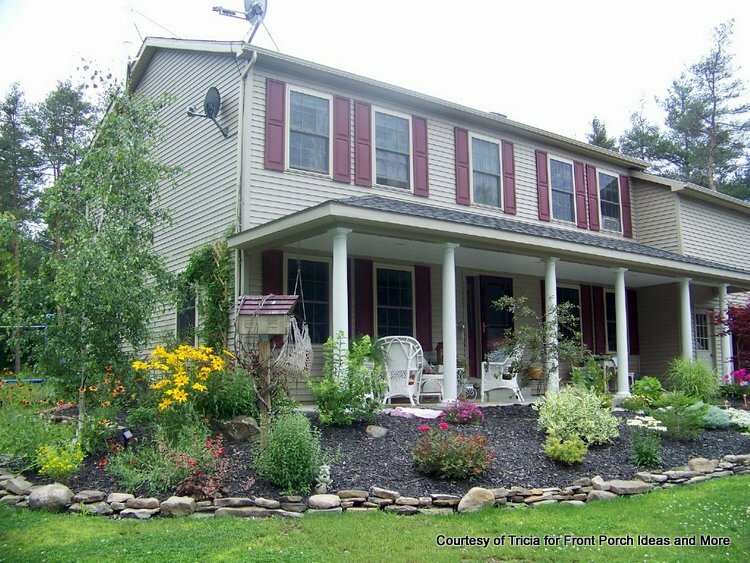 Using stone, mulch, and perennial plantings, Tricia created a wonderful flowing landscape around her porch. 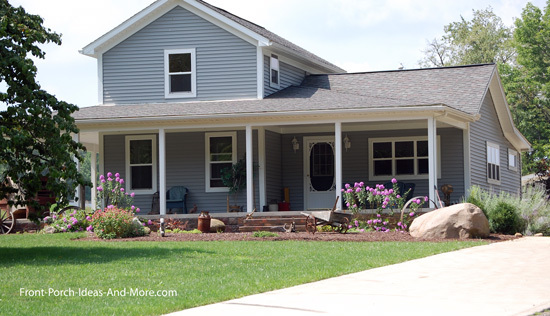 Tricia writes: "I have two teenagers and the thing I love is that now we all enjoy spending time together out there just eating, reading, and listening to music, and just connecting." 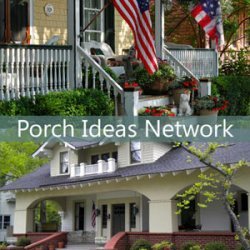 Porches are more than just structures. 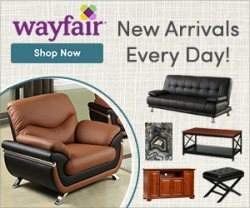 They are a place to gather, to relax, and to enjoy the company of others. 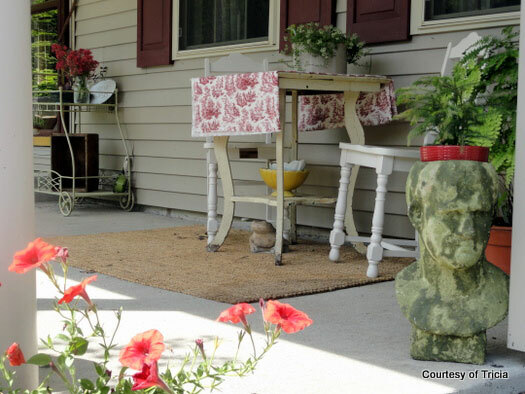 Life is short; enjoy your porch! 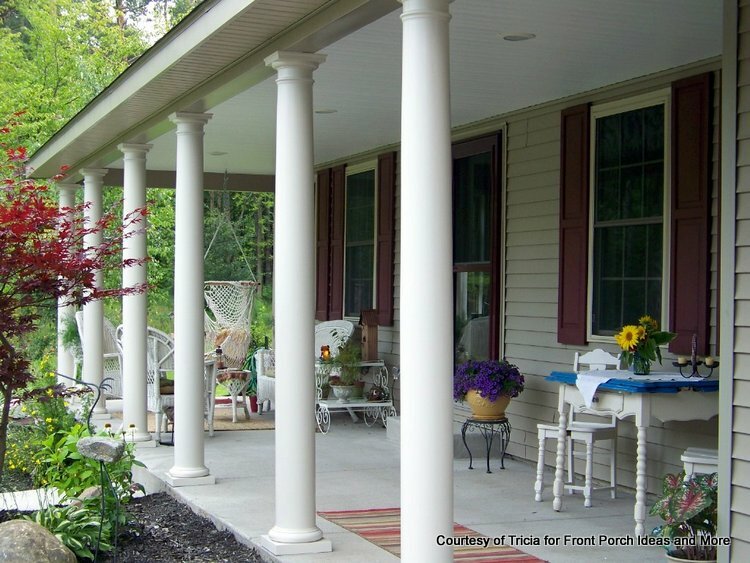 Tricia's story is gold for anyone contemplating adding a porch to your home and we really appreciate her sharing with us. 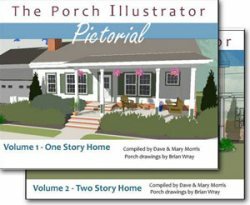 Now that you see the overall impact a front porch can have, explore our porch design and planning sections to get ideas to create your perfect porch. 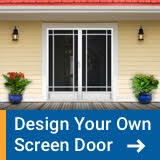 Before adding a porch you may want to use a 3-D rendering to ensure you get what you really want before you invest in construction costs. 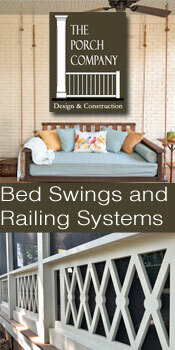 Renderings can be easily modified to get "it just right" and can save you money in the long run. 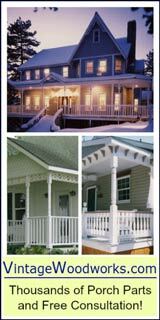 For more information and additional before and after photos, be sure to see our Front Porch Design section. 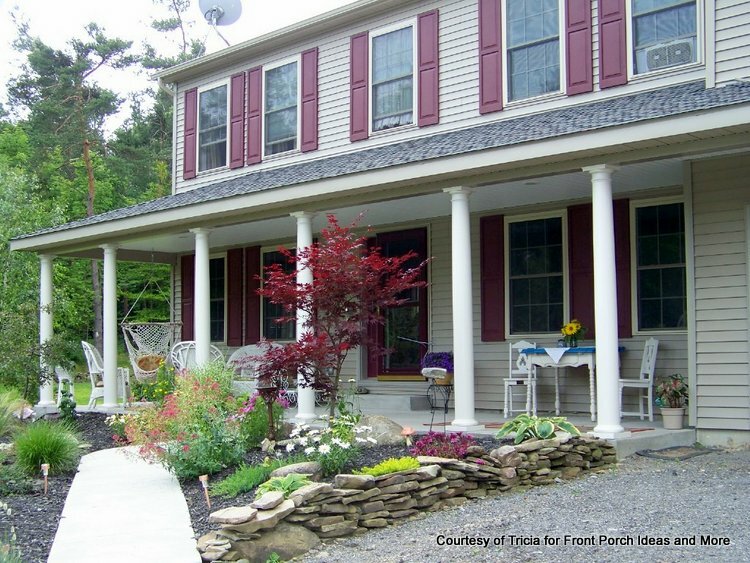 If you want to add a porch to your home, you can see how a porch like this is constructed from the ground up. 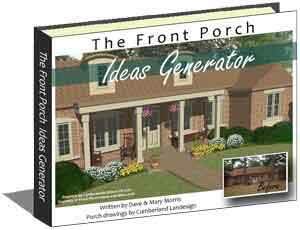 Watch our video below to see a porch built in a minute (with the help of fast video). 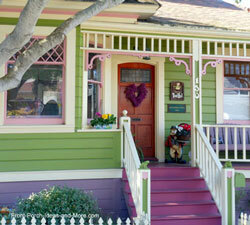 Visit our How to Build a Porch section for wonderful tips and ideas for building your own porch.